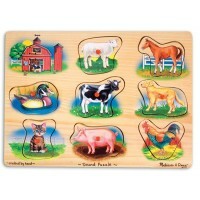 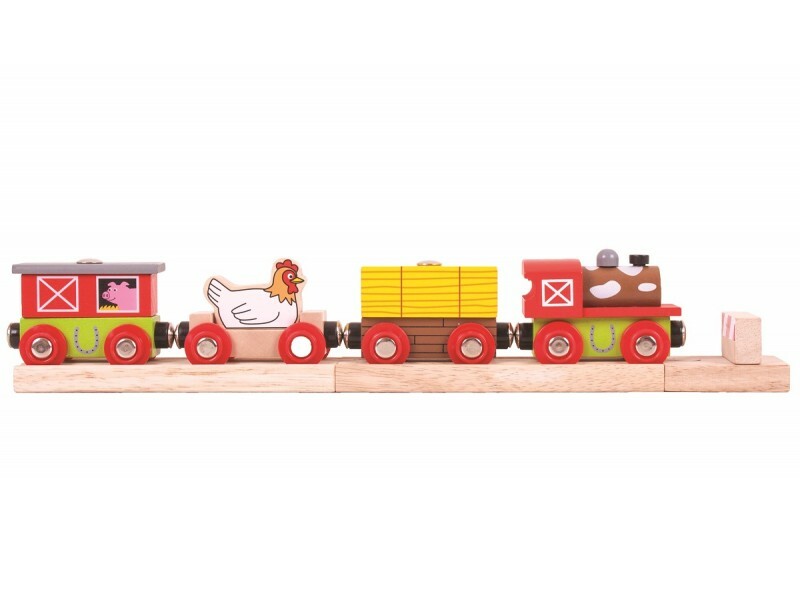 The Farmyard Train from BigJigs Rail is a 6 piece set that will be a great addition to your wooden train set. 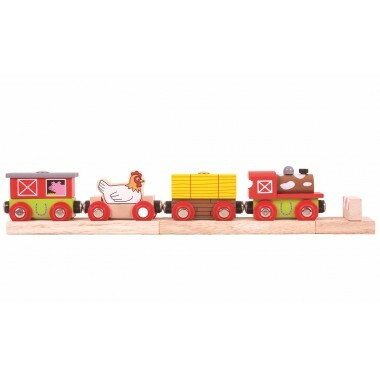 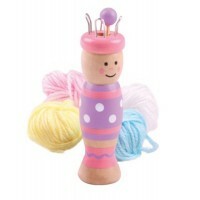 The colourful farmyard train engine comes with 3 wagons carrying pigs, a chicken and a bale of hay. 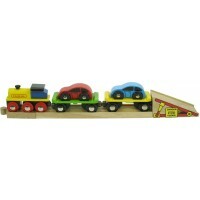 Magnetic couplings ensure compatibility with all other engines and carriages and magnets on top of the pig wagon and hay bale mean that the wagons can be unloaded with a magnetic crane.